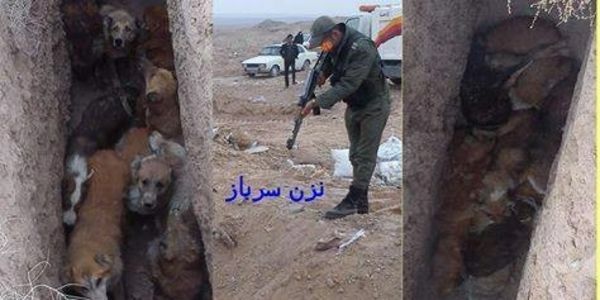 The life of many cats and dogs living in Iran often ends in a very brutal and inhumane manner. The state funds people to kill them on sight and encourages citizens to also kill by any method, and rewards them with money for every dead body received. People are killing these animals in very unacceptable inhumane manner via strangling with bare hands , stabbing them and drowning and so on, barbaric methods. Furthermore normal people are becoming accustomed to the cruelty and heartlessness, and are being motivated to have fun with the death of innocent animals. Here you can find more information about pets in Iran. Animals rights groups of Iran protest against this inhumane and cruel program out of pure empathy and compassion from our hearts we feel this is a wrong method to handle this situation. There is a modern and a civilized manner to deal with the cats and dogs, we must put an effort to research new way to address this unjust issue rather than mass extermination, and the inhumanly involved from regular citizens encouraged to kill and becoming desensitized to murder of innocent beings.